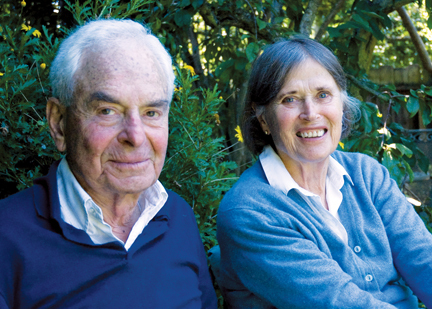 Herbert ’49 and Joy Sundgaard Kaiser ’51 recently received the Award of the Order of the Companions of O.R. Tambo: Silver, the highest award given by the country of South Africa to foreign nationals. President Jacob Zuma recognized the couple “for their excellent contribution to creating opportunities for medical education for black South Africans.” The Kaisers founded Medical Education for South African Blacks (MESAB) in 1985. According to the couple, the award recognizes the contributions made by everyone associated with MESAB in the United States and in South Africa. The nonprofit organization is dedicated to improving access to quality healthcare for historically disadvantaged South Africans by providing financial aid and training for black health care professionals. MESAB has supported the education of more than 10,000 health care practioners and has served as the model for similar programs that the Open Society Institute has adopted in Bulgaria, Romania, Poland, and Indonesia.